Haven't used theres. I use the class 2 nightsnipe by predator outdoors. You can choose what color bulds you want and it comes with 2. I got red and green, but you can get white. There is many paths to get to the same place. I enjoy my Coyote Reaper light. I purchased the green light version. 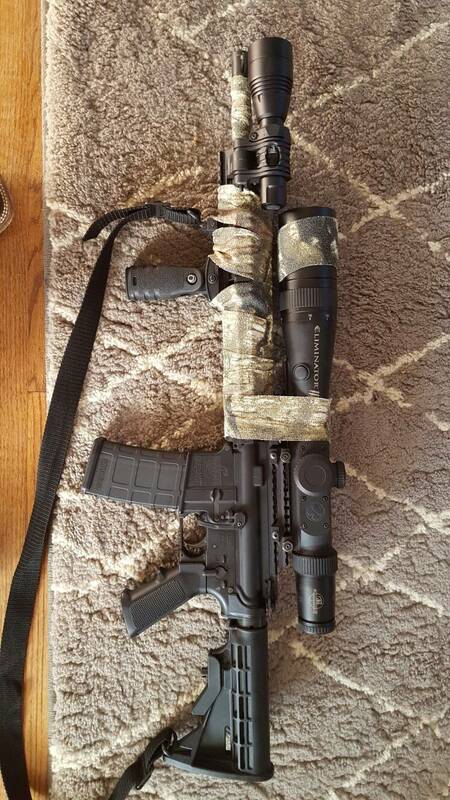 Can visually see out to 300 yds with it and can pick up eyes at 500 with it. Batteries last a long time with it as well. Comes with 2 recharable batteries. Nice product. Never used the Coyote Reaper light myself for coyote hunting as I'm used to Wicked Lights, https://catchthemeasy.com/best-light...night-reviews/ has some footage of the light in action if you're looking for it. I am a staffer for PT. I never lose, either I win or I learn. Are you looking for a gun mounted light or we offer a headlamp that comes in white/red or white/green?